Up to 30% of adults have black triangles, clinically known as open gingival embrasures. This is often due to bone loss and recession of the gum line and sometimes due to the movement in the teeth. Dark spaces between the teeth can make the teeth look old. They are also prone to accumulate food debris encouraging excessive plaque build-up. In cases where the enamel is perfectly healthy, these needn’t be masked with veneers. Using a special composite bonding technique, Dr Nadjafi can close these gap’s improving the integrity of the gum and appearance of your smile. 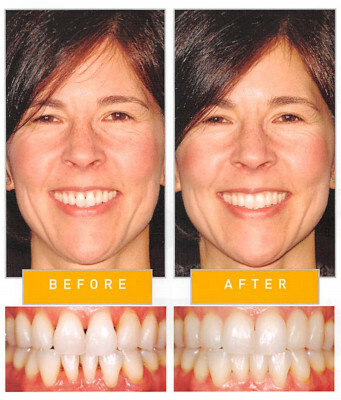 Bioclear is a minimally invasive & cost effective treatment using clear forms which are filled with a composite material matched to the shade of your teeth. The forms are removed leaving behind smooth contoured composite that has beautiful shines that is smooth to the touch. The form sits just below the gum line, meaning the teeth will appear to emerge naturally. The tight contacts achieved with this system means that the papilla (the gum in-between the teeth) is hugged back into place, revealing a healthy and youthful smile. 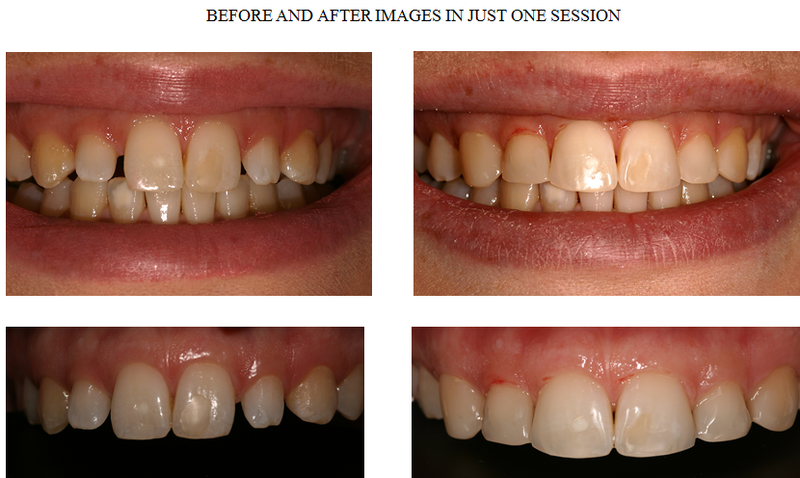 Bioclear treatment is also perfect for closing diastemas; this is the vertical gap in-between two teeth. Celebrities such as Madonna, Eddie Murphy, Jack Black, Lauren Hutton and Willie Nelson have a diastema. It makes your smile unique and you can choose to close your charming mid line gap. Though diastema is considered harmless, meaning it rarely affects dental health, some people want to close those smile gaps. Using a clear form and composite bonding. Another common dislike among patients can be undersized lateral or peg laterals. This is where the tooth has not grown to its full capacity, making the smile line look uneven. 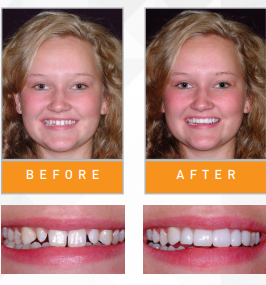 Due to the excellent quality of shaded composite materials coupled with the Bioclear system, these teeth can be built up to reveal an aesthetically symmetrical smile. For more information or to book in for a consultation feel free to call us on 0208 299 1434 or simply email us at adzclinic@ymail.com. *Please note a deposit is required upon booking.